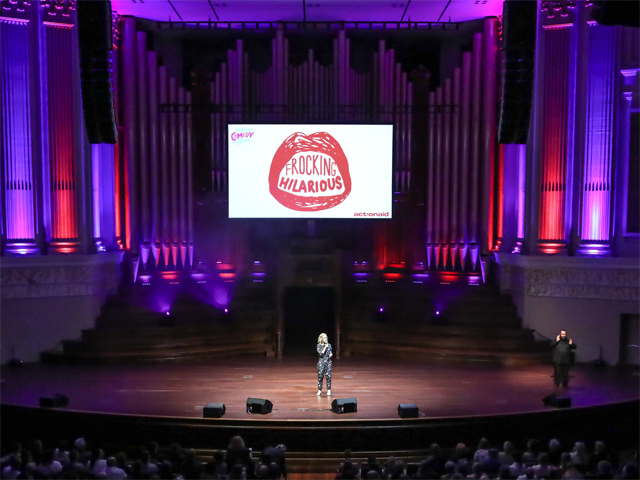 Following sell-out shows in Melbourne and Sydney, Frocking Hilarious, ActionAid's flagship comedy gala, debuted at the Brisbane Comedy Festival on Friday night. Hosted by Claire Hooper, the event saw 800 audience members brave wild weather to watch 10 comedians unleash the power of laughter in support of women's rights. The fun will continue when Frocking Hilarious returns to the Enmore Theatre for the Sydney Comedy Festival on Thursday 16th May. Now in its 7th year in Sydney, another unmissable all-women lineup will be announced in late March. All proceeds from Frocking Hilarious go to ActionAid Australia, a global women's rights organization that represents a movement of women standing together to campaign against injustice. The women ActionAid works with around the world are brave, resilient and, in spite of their struggles, often draw on the strength of laughter to face adversity. When: Thursday 16th May 2019, 7:30pm.